Today I'm doing a little bit of a rewind of a past review to celebrate Art Boss by Kayla Cagan which hits shelves on Tuesday. 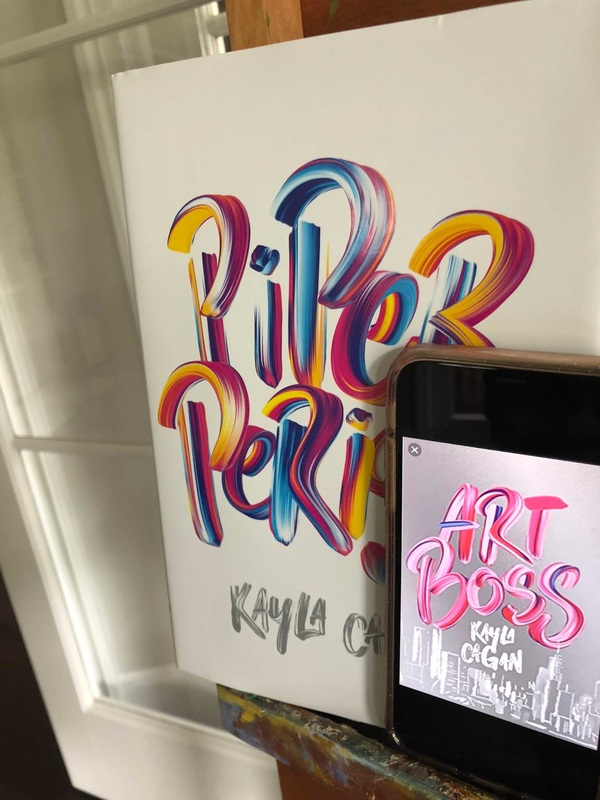 I met Kayla two years ago at Teen Book Con where I discovered her first book Piper Perish. Appropiatly, because the book is about a group of artists, it is one of the best made hardcovers I've ever held. You will be impressed when you pick up a copy at how much detail is in the cover and inside flaps (and also how substantial it is). Inside, it also includes pictures interspersed with the journal entries which rings true for Art Boss as well. The thing that originally drew me to Kayla's book was it's setting. I used to live in Houston, where the book takes place, and it was amazing to recognize all the places mentioned in the book. I wonder if that's how people in L.A., San Fransisco, or New York feel all the time. Sadly, Art Boss moves the story out of Houston, but, appropriately, Piper's next chapter unfolds in New York City. So before Art Boss comes out, here's what I had to say about Piper Perish! Characters: 4 I thought that Cagan did a great job creating the cast of characters. Piper had an authentic voice and was a believable character. I guess I'm not gushing with things to say about her because, even though there were some aspects of her I identified with, I never said "Wow that's me." And that isn't anything against Piper, the book, or Cagan, and I know that she is a quality character that people will identify with because I know people like her. Also, I did enjoy reading Piper's journal very much and hearing her take on the world.As for the other characters, they all suited their purposes very well. But as with any journal form (or even first person story really) where the focus is so heavily on the protagonist, we don't see much of the other characters. We only see where they effect the protagonist's life. So I cannot comment much on the other characters beyond saying that they were a well developed group that served their purposes wonderfully.